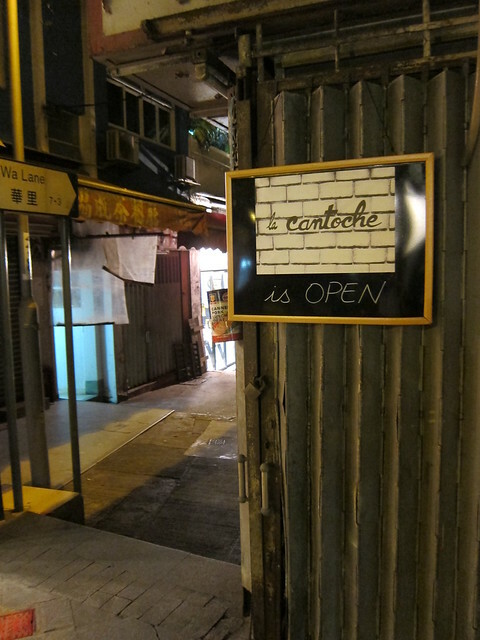 Finding La Cantoche at Sheung Wan on a weekday night has been quite a challenge. For one, almost the entire Hollywood Road is deserted, with hardly any shops open. I did wonder if I got the address wrong, until I saw this sign outside Wa Lane Street. Who would have thought! Clever them; otherwise I would have walked right past not knowing La Cantoche is down a smaller lane and not on the main road.